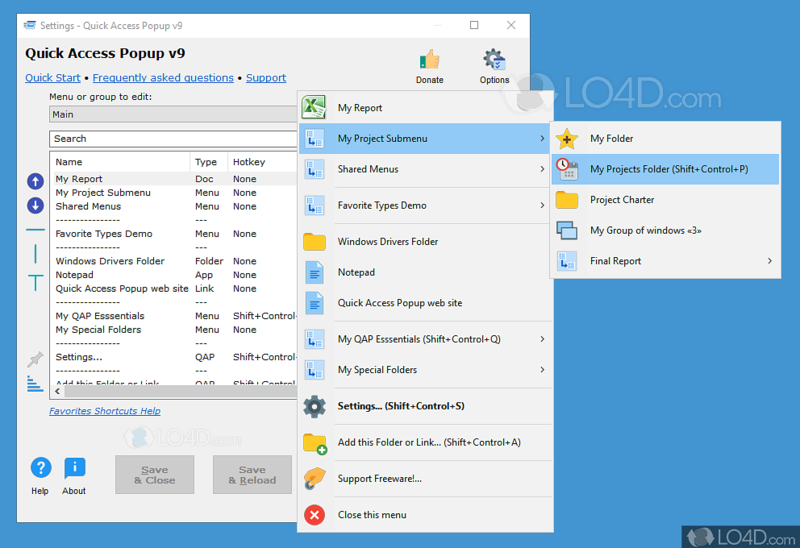 More than anything else, Quick Access Popup is an application that makes your workflow and life easier by streamlining access to frequently used files and locations in Windows Explorer. 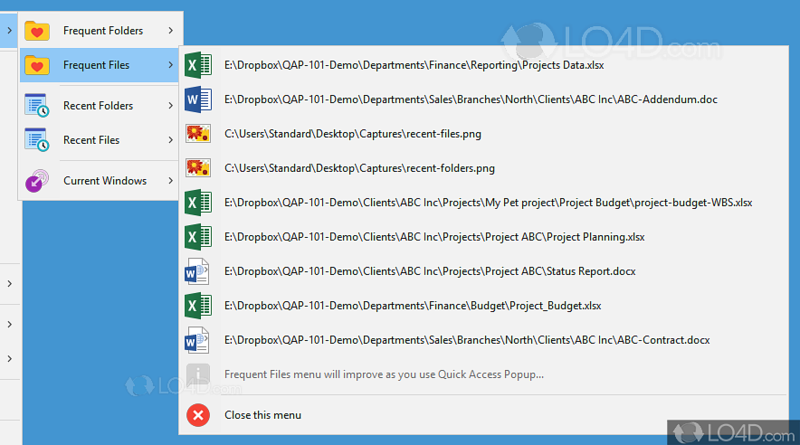 The main reason for using Quick Access Popup is really to allow faster access to your most used locations, something that you can setup within the program configuration. Accessing the application can be accomplished in two ways, namely through the context menu or from the system tray when the program is running. 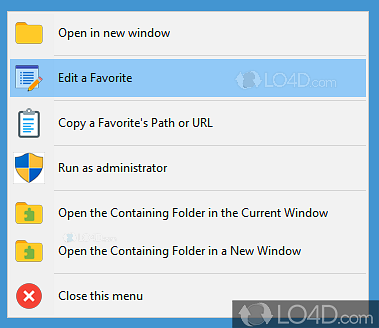 Adding new items to Quick Access Popup can be done by "Add Favorite" from the settings dialog box; the favorite shortcut can actually be a folder, document, application, special folder (My PC, Control Panel, etc. ), web link, FTP site or a couple of others. Basic settings of favorites include customization of the link name, the path and preferred icon. Advanced settings allow for parameters to be added to the launching command. Menu hotkeys can be configured using keyboard key combinations as well as mouse actions. Quick Access Popup can function with third party applications like Directory Opus, Total Commander and QAPconnect. Quick Access Popup is licensed as freeware for the Windows (32-bit and 64-bit) operating system / platform from windows customization software without restrictions. 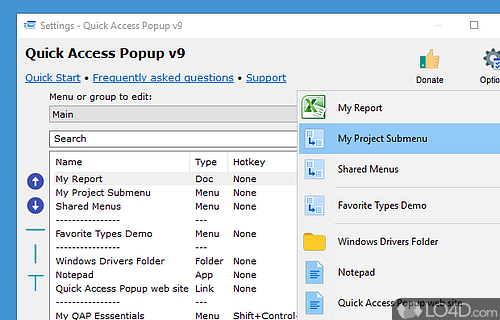 Quick Access Popup 9.4.1.5 is available to all software users as a free download (Freeware). Compatibility with this quick access software may vary, but will generally run fine under Microsoft Windows 10, 8, 8.1, 7, Vista and XP on either a 32-bit or 64-bit setup. A separate x64 version may be available from Jean Lalonde. This download was signed by Jean Lalonde and distributed as quickaccesspopup-setup.exe. We have tested Quick Access Popup 9.4.1.5 against malware with several different programs. We certify that this program is clean of viruses, malware and trojans.